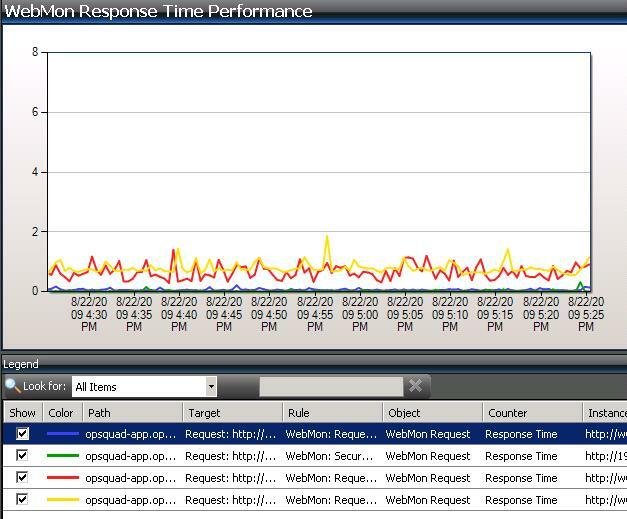 The native Web Application monitoring capabilities of SCOM are impressive to say the least, and provide excellent functionality for in-depth monitoring of complex web application transactions. However, the administrative effort required to configure web application monitoring makes the implementation less than ideal for wide-scale basic web site monitoring. In most cases, required web monitoring would entail monitors just for status code, reachability, response time, and perhaps some other checks like certificate validity. I wanted to create a custom management pack to implement these monitors, with a minimal degree of configuration effort. While researching available options, I came across a post by Russ Slaten describing a way to utilize the Microsoft SystemCenter WebApplication Library implementation to accomplish a similar goal. However, I wanted to take it a step further. 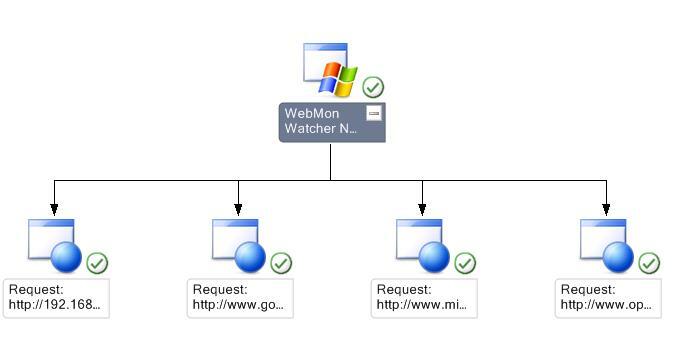 The key decision point in my design approach was that I wanted to be able to deploy a configuration file (in XML format) to each watcher node involved and define the URL’s and monitoring properties in that file. I have completed this management pack, and I’m quite happy with it thus far. I’ve described the Management Pack and development process below. 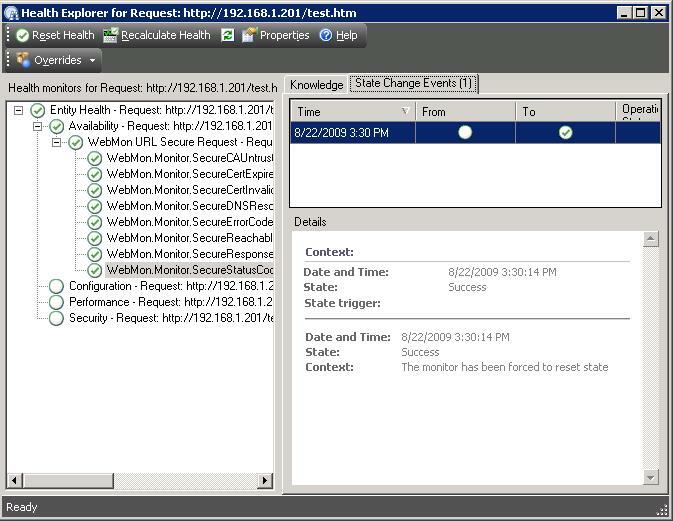 When you create a Web Application monitor in the SCOM GUI, a whole suite of management pack objects are created. Firstly, two classes are created: one for the watcher node and one for the web application perspective, with a hosting relationship between the two. Then, a composite data source is created, consisting of a timer and an URLProbe from the Microsoft System Center Web Application Library. 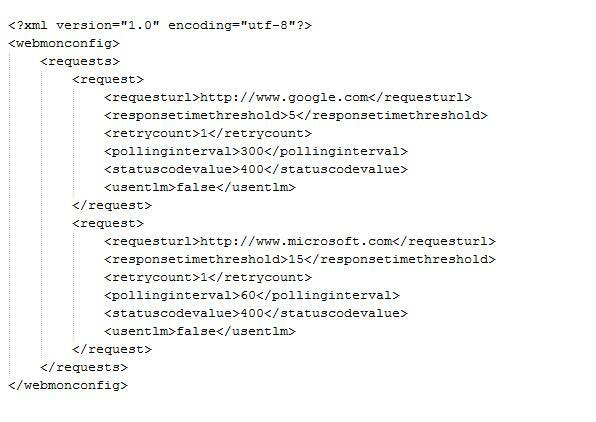 The URL Probe contains configuration items like the request header, the authentication settings, and a set of warning and error criteria. Building from there, a set of MonitorTypes are created that depend on the URL Probe and implement ConditionDetection rules to expose state to Monitors. Monitors, which utilize the MonitorTypes, and Rules, which utilize the DataSource directly, are also created in accordance with the chosen configuration. One thing to note is that the configuration defined in the URL probe is static, except for the actual URL, which is fed as a variable to facilitate multiple requests in a single Web Application Perspective. In order to accomplish the goal of a single set of entities that allowed dynamic monitoring configuration (discovered from a configuration file), my plan was to replace these static configuration items (such as response time threshold) with variables. I added a bit of data validation to the actual script to work around potential blank values, but this covers the basic methodology. Once the discovery was determined to work as expected, I moved on to the monitoring implementation, which took me much longer than expected, largely due to difficulty in debugging. I created the Composite DataSource, as described in Russ Slaten’s post on the topic, and then began a process of trial and error determining which configuration values I could substitute with variables. Fortunately, those configuration values most likely to vary (retry count, thresholds, etc), can be substituted with variables. However, a few that I was hoping to populate dynamically would not allow variables. These were the operator used in status code comparisons (I had hoped to be able to define an operator such as “greaterthan” or “notequal” in the configuration file for each request), and the authentication scheme. I wasn’t too concerned about the status code comparison operator, because in most basic web monitoring scenarios, it’s safe to assume that a “greater than” operator should be used (i.e. “greater than 399”). What was more concerning was the Authentication Scheme, because I wanted the management pack to support monitoring of anonymous sites as well as secured intranet sites. I eventually decided that the best way to deal with the requirement for a static definition of the Authentication Scheme was to add a new class, named WebMon Secure Request, for requests that require NTLM/integrated authentication. I created the class, with identical properties to the WebMon Request class, and modified the discovery script to assign requests to the classes based on the value of a Boolean element in the configuration file (named: usentlm). This meant duplicating the data sources (with different settings for authentication) and MonitorTypes, monitors, and rules, but it seemed like the best way to maintain the desired functionality. For each of the monitors, for each of the two classes, I created a MonitorType utilizing the class’s composite data source, with appropriate criteria evaluation and severity settings. I also created an aggregate monitor to simplify alerting, as well as dependency monitors on the Watcher Node class to represent the overall status of all monitored requests. In my next post, I’ll provide a link to download the MP and instructions on deploying it.